TEMECULA—A new show with a popular new class made for a fresh start of the 2019 season for the Southern California Reined Cow Horse Association, as the inaugural Cowhorse Kickoff brought Casner Ranch to life Jan. 11-13. 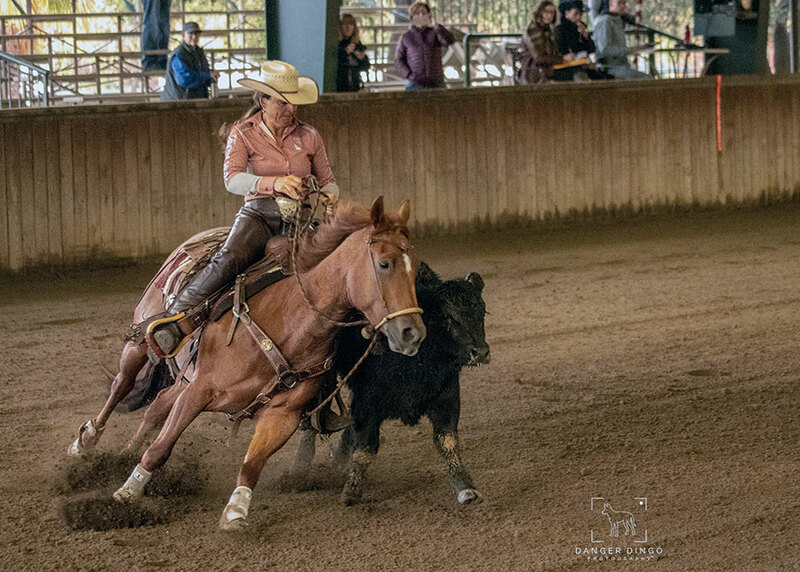 Despite some wet weather, SCRCHA members eagerly returned to the show pen for a full line-up that included open boxing and popular ranch riding classes. Among top winners at the Cowhorse Kickoff were Sunni McCormick, who swept the Limited Open Hackamore by taking first on her Sioux Per Boom and reserve on Devon Camilleri’s Just Call Me Earl. Camilleri and Just Call Me Earl also picked up a check in the 1000 Non Pro Limited where she took second behind winner Amy Finley on Truckin Lil Miracle. McCormick also won the 12-entry Senior Ranch Riding class on Greg Bieker’s Onetime Smarter. An open boxing class was popular with 16 entries Saturday and 21 on Sunday. Roy Rich took Siegfried Schmuekle’s Ruby Merada to Saturday’s win, while Catherine VIncent rode her Lena Bella to first place on Sunday.